A growing body of research assesses the relationship between fatherhood and desistance. Qualitative studies typically find fatherhood reduces offending, especially substance use; yet, quantitative studies have produced mixed findings. 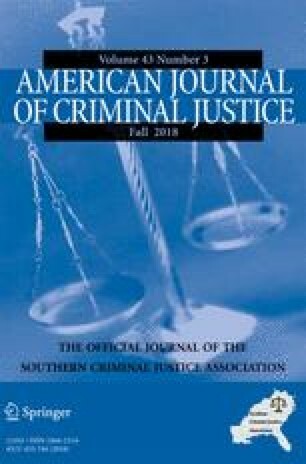 Guided by life-course theory, this study hypothesizes that fatherhood affects certain kinds of offending and fatherhood’s effects on offending are most pronounced among fathers who reside with their child. To test our hypotheses, NLSY97 data are employed along with fixed-effects regression analyses to estimate the relationship between fatherhood and offending, while controlling for time-varying and time-stable competing factors. Periods of fatherhood are associated with reductions in licit and illicit substance use but not other kinds of offending, and these effects are considerably stronger in periods in which fathers resided in the same household as their child. By contrast, residential fatherhood is associated with reductions in property offending and arrest. These results confirm the findings of qualitative research in that fatherhood, particularly residential fatherhood, reduces substance use but has weaker effects on other kinds of deviance. Age, centered at 16 yo.